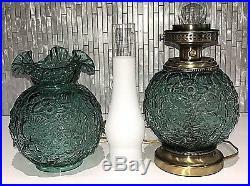 Offered is a vintage Fenton Art Glass Large Double Embossed Poppy “Gone with the Wind” Table Lamp in the Transparent Spruce or Willow Green color. The lamp is gold-tone metal and comes with a frosted white chimney. 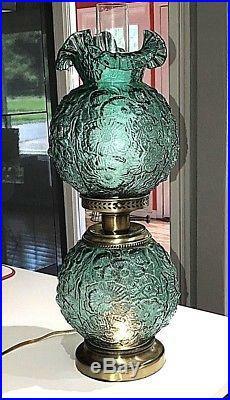 The lamp is in good working condition, it is 24″ Tall and 8″ Wide. It has a double light, one on top and a night light on bottom. 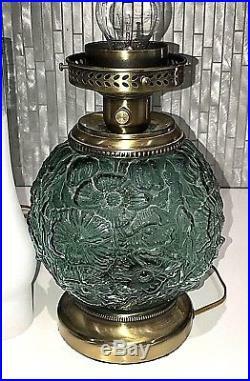 The lamp is in very good condition, no chips, no cracks and no repairs. 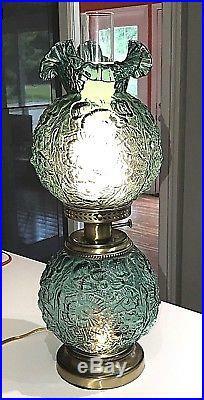 Nice table lamp to add to a collection or display. See photos for details and if you need more information, just ask. 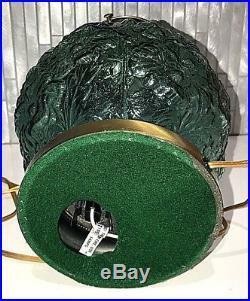 The item “Fenton Art Glass 24 POPPY Gone With The Wind Spruce Green Large GWTW Table Lamp” is in sale since Thursday, August 2, 2018. 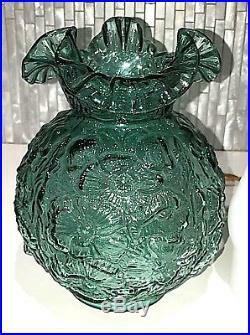 This item is in the category “Pottery & Glass\Glass\Art Glass\North American\Fenton”. The seller is “polesitter2″ and is located in Collinsville, Illinois. This item can be shipped worldwide. 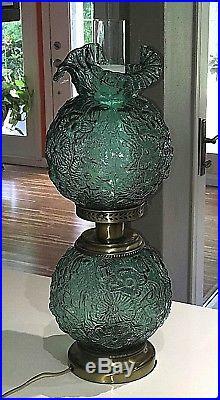 This entry was posted in fenton and tagged fenton, glass, gone, green, gwtw, lamp, large, poppy, spruce, table, wind. Bookmark the permalink.